This is a private licence for 3 different ITH (in-the-hoop) Silhouette Zipper Bags for the 5x7 inch hoop. The bag styles are shown in the 2nd picture. With this purchase you'll receive the right to use the blank files as per described to your licence, also 3 different bags as shown in picture 2 as well as a step-by-step PDF instruction with lots of pictures, written in English and German. These bags are blank files of the many different variations with motifs that are available in my shop. Purchasing and holding a private licence for these particular bags allows you to add names and motifs legally. 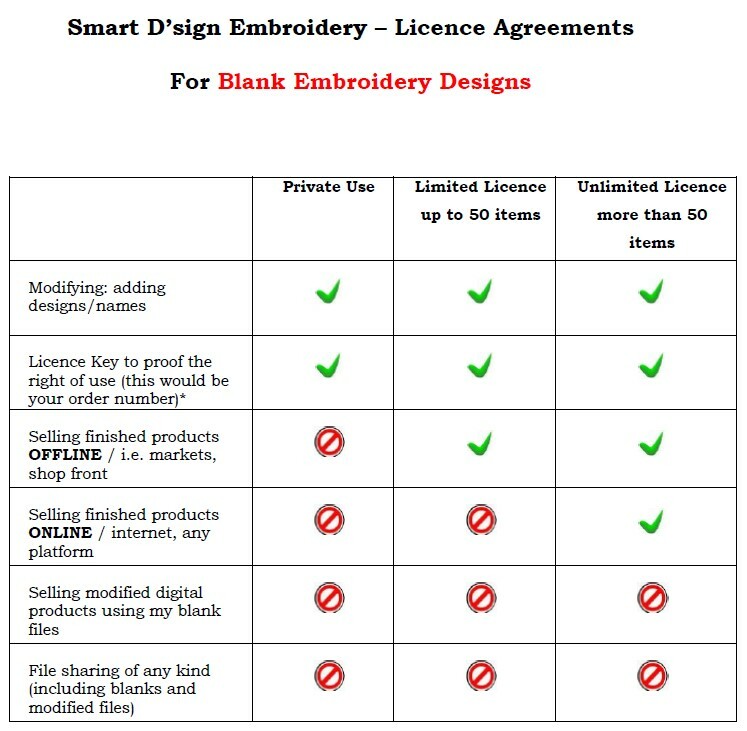 It does NOT allow you to sell these finished items holding a private licence. 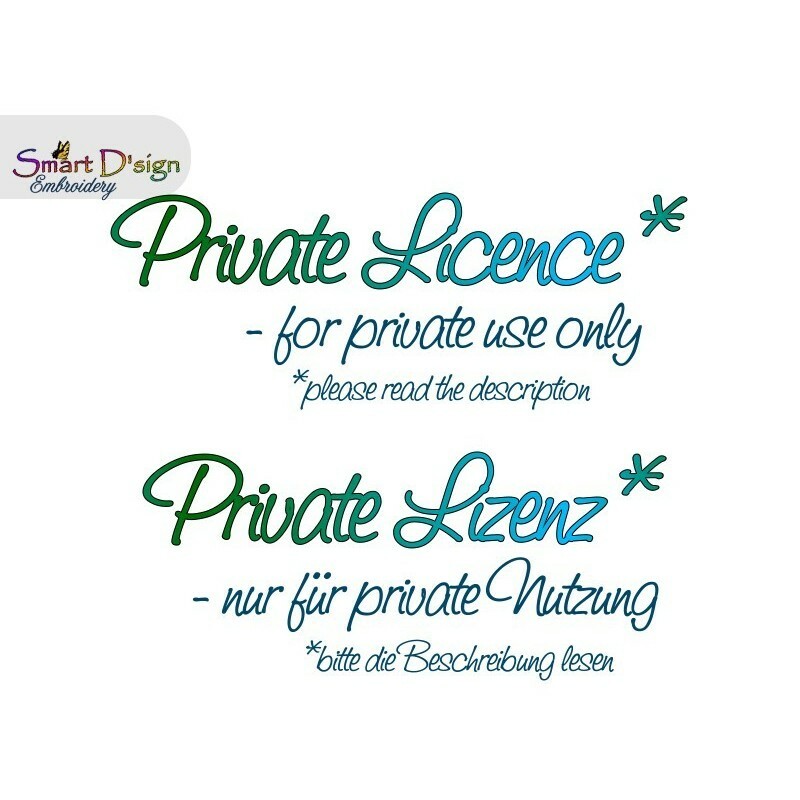 With this private licence you can make unlimited numbers of items as gifts and for yourself.